Here is our 'future' garage, we've estimated the costs are going to come in somewhere around the region of €25,000. The reason it is going to be so much is this will pretty much be built the same as a small house. 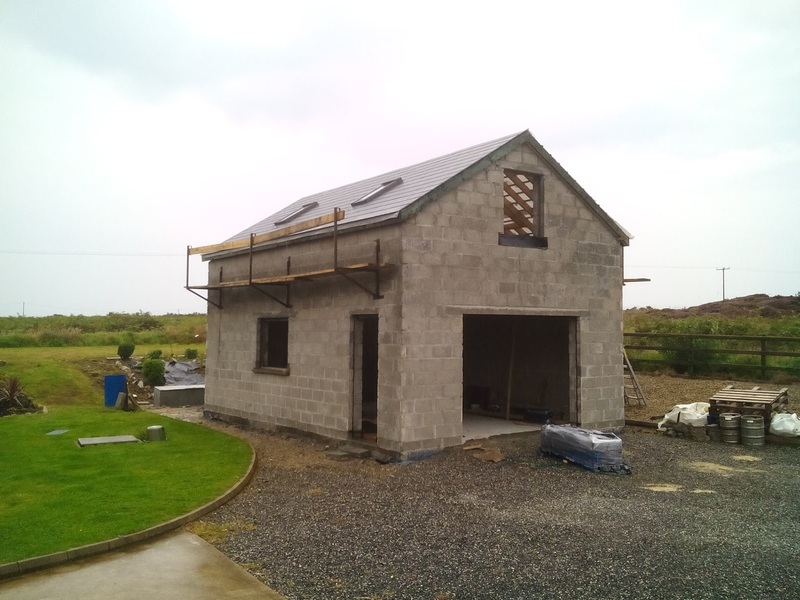 Double block-work with insulation, shower-room/toilet, upstairs room with a small stove for heating. 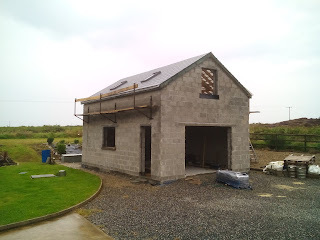 This is a lot of money and thus we have decided to write a blog of the building progress. This being the initial post we don't have a lot to show you at the moment. That being said we've included an image of where we currently are and an image of the plan where we hope to be soon. Of course all donations are greatly received and they will help us tremendously to build our garage sooner. Donating is easy, just click the button on the top right and choose an amount to donate. Our thanks in advance for your donation and stay tuned for future garage updates!